Fiji is a paradise for a lot of travelers. It is the place than can be perfectly described as ‘Heaven on Earth’. 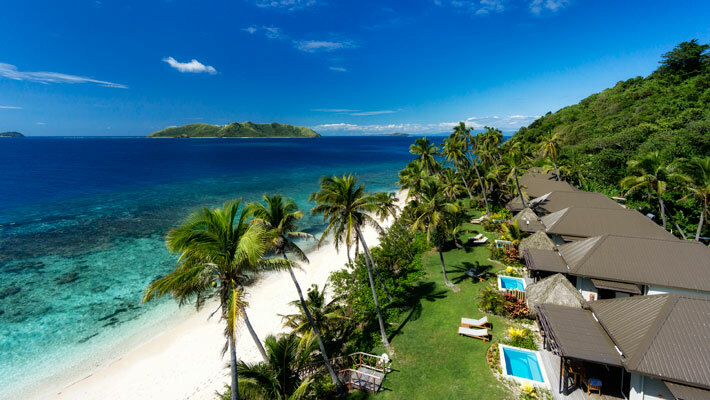 During your time in Fiji, you need to stay relax and forget about your daily troubles of life. Clicking pictures in Fiji will prove that Fiji is on another level. Here are some of the pictures that proof Fiji is indeed beautiful. Waterfalls – One of the best things to witness in Fiji are the waterfalls. There are some amazing yet stunning waterfalls found in between jungles and lush rainforests. Bouma Falls located in Taveuni is the most popular waterfall to be witnessed in Fiji. Beachfront Bures – Welcome your mornings with beautiful views of the ocean along with fragrant smells of the coconut and hibiscus into your rooms. Many resorts in Fiji have bures (huts) that offers a traditional experience with a modern twist. Sunsets – Ending your day in Fiji is magical. As the sun sets, witness the change in horizon with pink, golden and red shades offering the perfect opportunity to click some Instagram pictures. Poolside Dining – It isn’t hard to find a poolside dining in Fiji. Open a glass of wine and enjoy a delicious meal as the sun sets down and the evening breeze cools you down. Fire Dancing – Entertaining the tourists is what Fijians love to do. Watch the fire dancing shows as these professionals showcase their amazing talents of catching, throwing and spinning sticks and items with fire. Marine World – Fiji’s waters will mesmerize you with beautiful fishes, colorful corals along with wonderful marine species. It is the best way to appreciate Mother Nature. Experiencing strange and unusual cuisine is one of the best things one can do. Fiji’s cuisine is there on top as it consists of flavors from Europe and Asian countries. Most of Fijian’s still have tea in the morning and afternoon and with that they like to eat certain snacks. That’s because Fijians love eating food that are high in calories. So, if you happen to be in Fiji, then try out these snacks to make your vacation a level above top-notch. Afternoon Tea – An afternoon tea is one of the best and simplest ways of having a great time with your buddy and family members. The menu also includes cucumber sandwich, freshly-baked cones consisting of jam and cream. You can end your snack with a brownie along with tea or coffee to choose as a beverage. Appetizers –Fiji’s appetizers are a great way to enjoy a meal before your dinner. Many restaurants in Fiji offer a wide selection of appetizers such as special wine, beverage made of cool fruits and more. Coconut Crumbled Prawns – The prawns are quite similar to shrimps that are deep fried. The prawns are first coated with coconut that is later deep-fried. Once the prawns are cooked, they are served with sweet chili sauce representing the Thai and Indian regions. Breakfast Cracker – They are supposed to be eaten in the early morning that goes well with your typical tea or coffee. The flavor from the crackers gives you that tropical feeling as you bite into it. Many companies are now not only selling locally but they are also exported to the US and many other countries.